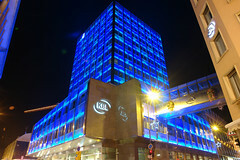 This is a shot of the KBL building in Luxembourg City. 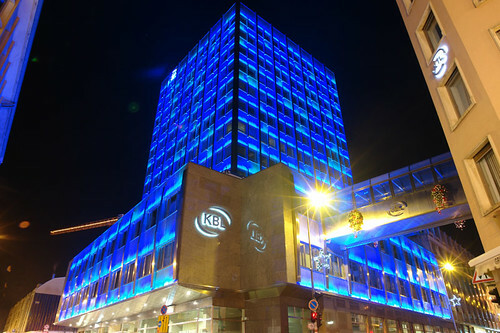 The building itself is a huge lightshow to behold as each window of the building is lit up in sequence with every other window and over time it cycles through many different colours, with the added christmas tree image for the festive period this year. This image was shot at night, and so a 5 second exposure was needed to capture it correctly.